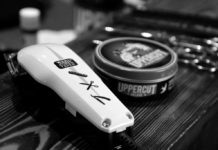 When it comes to fine hair, any tool, product, or style that is done has to be done with care and tact. Finer strands tend to be more limp, more difficult to style, easily weighed down by products, and seriously sensitive to heat. 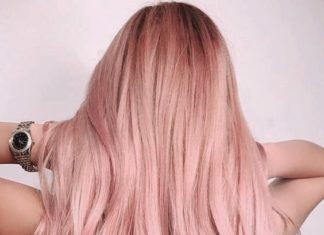 The strands can seem flat and volumeless which make it more difficult to create waves and curls that last all day long, or even for the first five minutes after the style is complete. When it comes to heat styling tools, fine hair can truly suffer. The heat, if not regulated, can fry the delicate hair strands and damage them beyond repair. That, coupled with hair products that are used to create the desired look, fine hair strands can buckle under the stress. 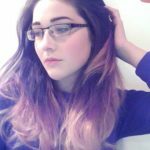 This is why it is essential that, when it comes to heated hair styling tools, people with finer hair should use tools that are created to suit fine hair either exclusively or, as well as they, do thicker hair. Going on a vacation or a business trip means throwing all of your essential beauty items in your suitcase. This includes your blow dryer that is perfect for fine hair. However, lugging around a heavy blow dryer in your luggage is less than ideal. 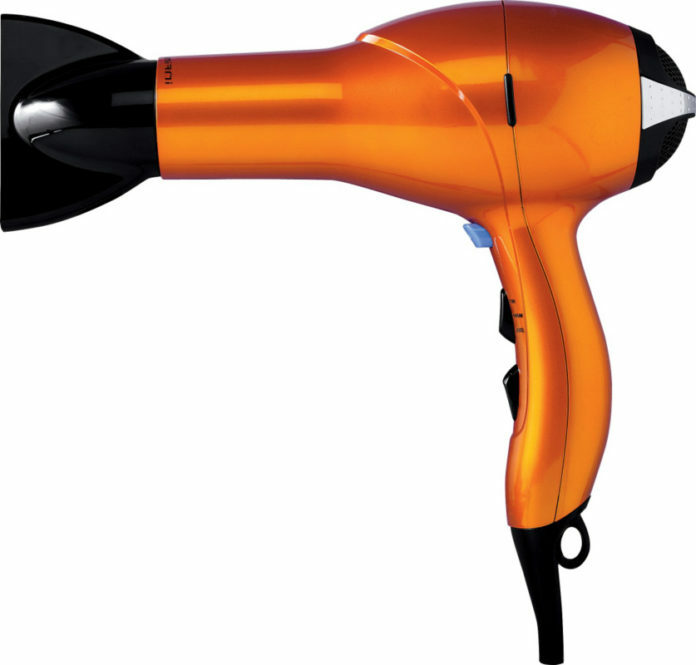 The Jinri JR-101 is a professional hair dryer in a compact, travel-friendly form. The mini blow dryer packs the right amount of power with 1000 watts. It is made of ceramic material which means that it is not too stressful on the fine hair strands that can easily be fried by blow dryers made of different materials. The Jinri JR-101 uses the ion technology which means the tool emits negative ions to neutralize the positive ions naturally given off by the blow dryer. This helps to seal the cuticle of the hair and create a frizz free style that is sleek and shiny. The blow dryer comes with a concentration nozzle that is essential when it comes to creating volume for fine hair. There are 2 speeds and 2 heat settings which puts the user in control of the type of style they want to create and how much heat they want to put on their hair. 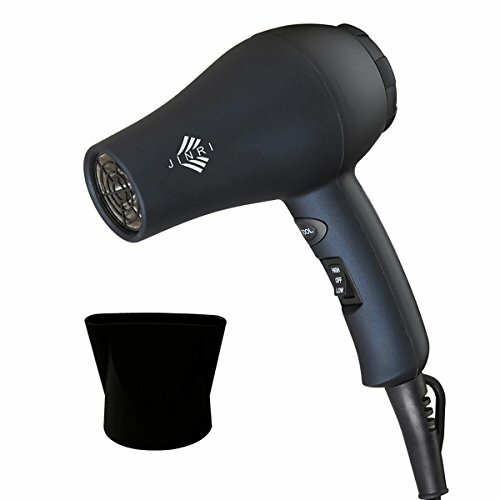 It is a great, professional blow dryer in a compact form. 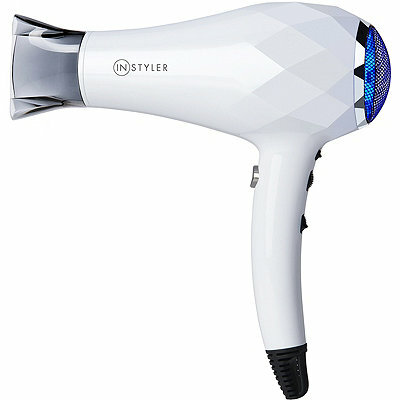 A blow dryer that caters to fine hair, is lightweight, but packs a hefty amount of power is the perfect heat based tool. The InStyler BLU Turbo Ionic Dryer is just that. By the looks of it, it appears to be a small and quite simple. However, this blow dryer has amazing features. The InStyler BLU Turbo Ionic Dryer dries the hair twice as fast as the average blow dryer. This blow dryer has two stand out features. One of them is the combined power of the high powered DC motor and the Jet Turbine Fan. Combined, this mini dryer delivers a super fast and efficient drying speed. This makes the process of drying fine hair quick and easy. This cuts down the amount of time fine hair has to exposed to high levels of heat. The second wonderful thing about the InStyler BLU blow dryer is that it is the only blow dryer on the market that allows users to adjust the level of negative ions that the blow dryer emits. 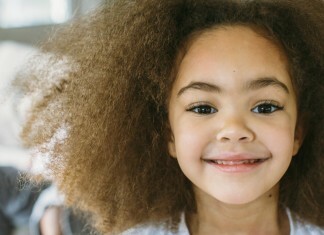 Since all hair types are not exactly the same, this means that all hair types will require a different amount of ions. The InStyler BLU Turbo Ionic Dryer allows users to do that. 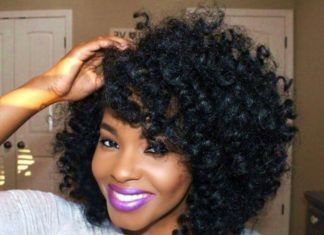 Whether you have hair that is thick and curly or fine and thin, everyone wants to have healthy hair. When it comes to using heat, hair styling tools; fine hair strands are at a high risk of being damaged. The Elchim blow dryer has made their mark by being a heat tool that puts healthy, strong hair first. 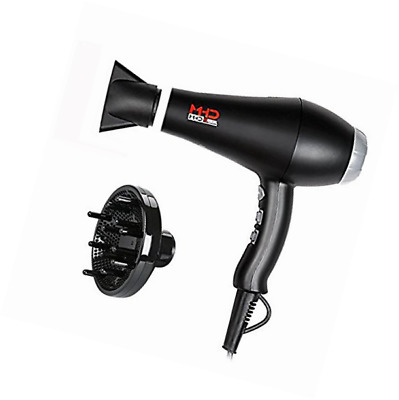 This small blow dryer packs a powerful punch with Italian engineering that creates a turbo speed for a faster drying process. This is essential for fine hair as overexposure to heat can damage hair. The 2000 watt motor is one of the most powerful blow dryer motors on the market. It’s power is pretty much unmatched thanks to the very advanced Italian engineering. The Elchim helps fine hair stay strong and healthy with the ionic ceramic technology and materials. The combination nourishes the hair rather than stripping the strands of moisture. The ceramic creates a healthy heat environment for thin strands while the ions help to create shiny, silk hair. The dryer also utilizes far infrared which helps to prevent the hair from overheating. The dryer comes with 2 different concentration nozzles to achieve the perfect, volumized style every time. Fine hair can suffer greatly from excessive heat. However, trying to avoid heating tools is not realistic. Using heating tools that won’t completely ruin the strands of fine hair is the key to getting the look you want without the damage you don’t. The Berta blow dryer is a powerful tool that can blast the hair dry quickly. The 1875 watts gives this dryer the power it needs to dry the strands quickly and efficiently. This helps to limit the amount of time the strands have to be exposed to heat. 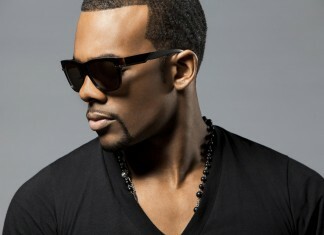 The speed, along with the heat level, can be adjusted to create the perfect style using the right amount of heat. 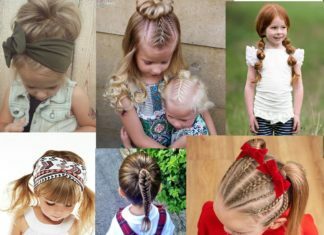 Some days your hair may require more heat or more speed while other days you may want to create a low manipulation hairstyle that requires less heat and power. 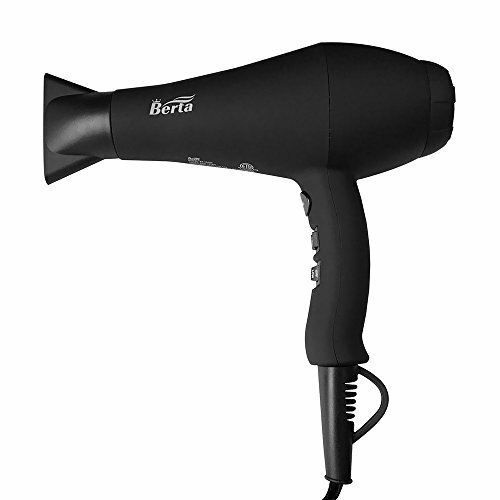 The Berta blow dryer has 2 speed settings and 3 heat settings. One of the great features about the Berta blow dryer that makes it an essential for styling fine hair are the negative ions that the dryer emits. These ions help the hair look sleeker, softer, and healthier. This is essential for heat tools as the positive ions and hot air flow can cause fine hair strands to become dry, brittle, and frizzy. The Berta eliminates that problem. There is nothing worst than purchasing a hair tool that you love for it to only die out a year afterwards. For blow dryers, this can happen when the motor is not high quality causing it to give out. The dryer is useless once this happens. 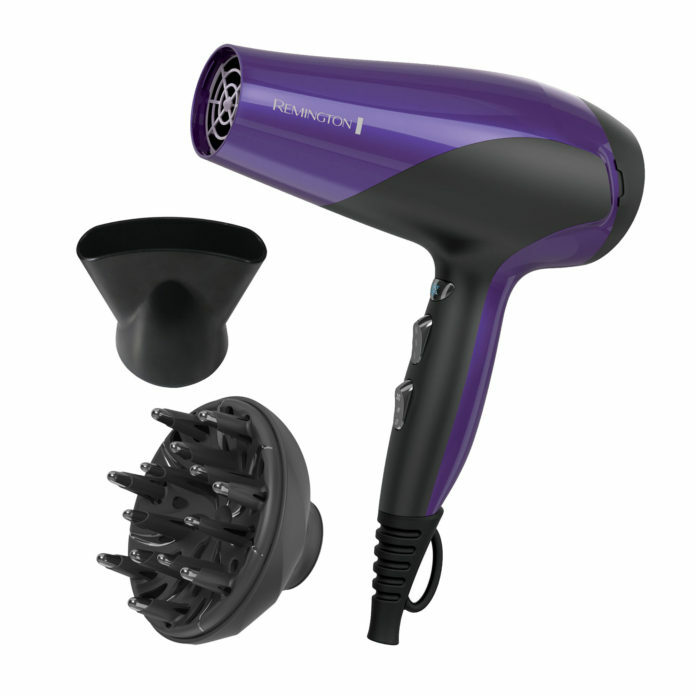 The Conair Infiniti Pro has a motor that is 1875 watts which means that it is both powerful and long lasting. The motor on this dryer lasts 3 times longer than the average blow dryer and dries the hair faster as well. The motor on this dryer also lasts longer because of the removable filter option. By being able to remove the filter and clean out dirt and debris, you are essentially extending the life of the blow dryer. The lint and debris build up can damage the blow dryer’s motor causing it to stop working. Aside from it’s amazing longevity, the Conair Infiniti Pro uses ceramic and ion technology to create smoother, healthier, and softer strands which is essential for fine hair. The adjustable speed and heat options is great for various styles. You can create a style that requires more or less speed and heat using the settings. Fine hair lacks volume and the right blow dryer can deliver that. The Conair Infiniti Pro comes with a concentration nozzle which is wonderful for creating volume and curls that last all day. A professional dryer that creates salon like styles at home is a dream come true for hair styling tools. 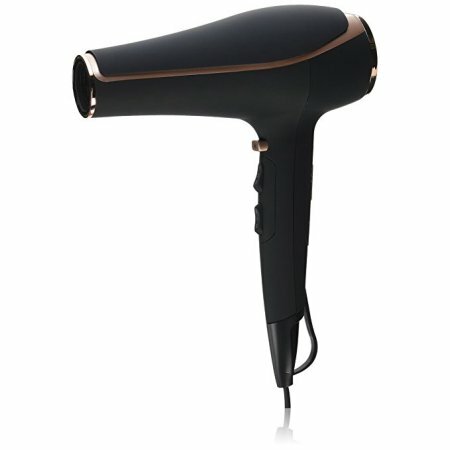 The Xtava Ionic Blow Dryer is like the professional dryer that your favorite stylists uses for your weekly blow outs. Aside from it’s aesthetically pleasing look, the Xtava Ionic Blow Dryer is like a mini styling kit for home. It comes with a concentration nozzle attachment for voluminous styles and a diffuser which is absolutely essential for fine, curly to wavy hair to pump up the curls. The 1800 watt motor makes drying the hair quick and efficient. 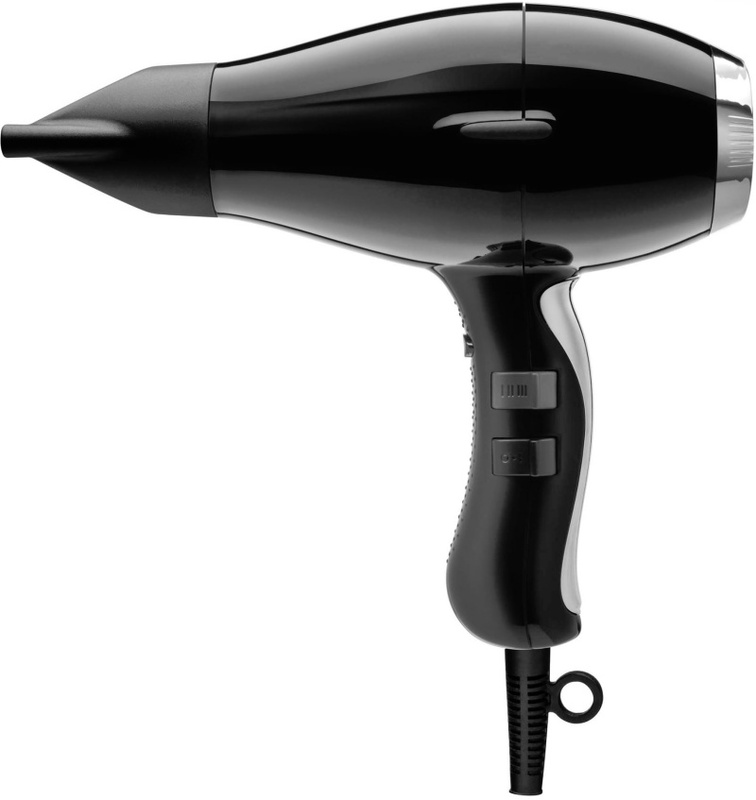 The powerful motor creates a salon like experience with supreme airflow to dry the hair. The dryer has dual ion capability which dissipates the water molecules while simultaneously reducing frizz. The dryer has 2 speed settings and 3 heat settings to create the desired styles. The feature that makes this dryer a stand out tool is perfect hair “P” setting. When you switch this setting on, the dryer goes into turbo speed with medium heat which gives you the beautiful, sleek look without the incredible damage. This setting is ideal for daily use on fine hair types. It’s the perfect salon look without the damage. The loud whir of a blow dryer is one of the most off putting aspects of doing at home blow outs. The older blow dryers are loud and heavy which is not an enjoyable at home experience. 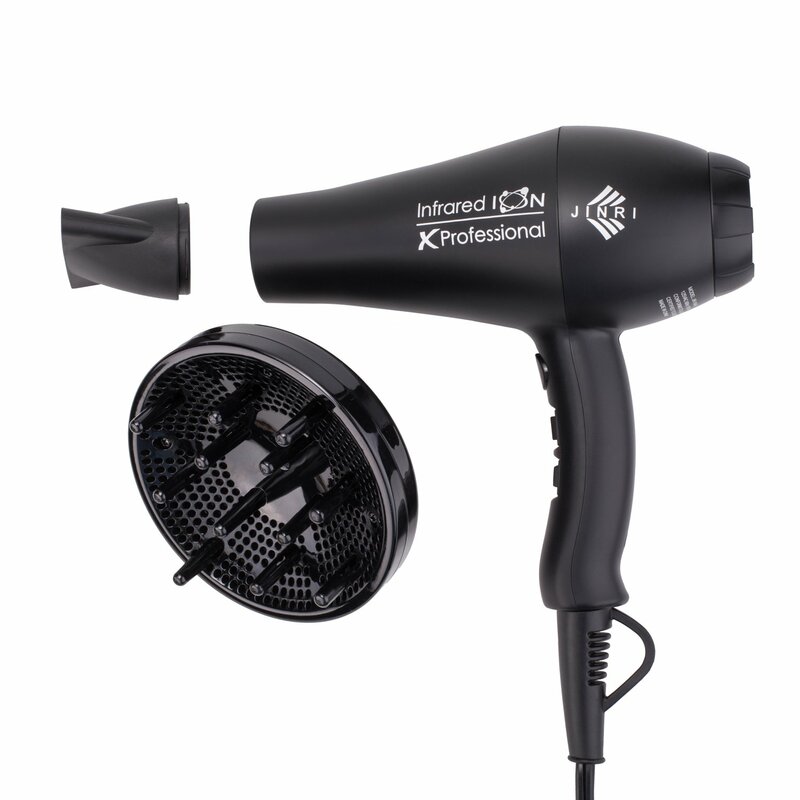 The Xlinder 1875W Professional Salon Hair Dryer has a 1875 watt motor that makes drying the hair quick and quiet which is what everyone wants in a great blow dryer at home. The Xlinder blow dryer has negative ions and far infrared to create sleek, shiny styles that don’t take a toll on fine hair. The powerful motor also means that this blow dryer will last through the years. The dryer has 3 heat settings and 2 speed settings which makes it easier to create ideal hair styles that are high on volume and low on damage. The dryer, along with the 3 heat settings, has a cool shot button which helps to create thickness and texture which is perfect for fine hair that can appear limp and dull. The dryer comes with a diffuser attachment which helps to create fuller, more voluminous styles for fine curly hair. It also comes with a concentration nozzle which is essential for creating volume for straight fine hair. A blow dryer that zaps the hair dry quickly without frying it is definitely the gold standard. 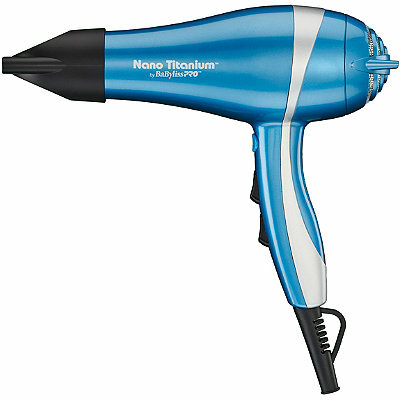 The BaByliss PRO Nano Titanium Dryer is a 2000 watt dryer that dries the hair quickly and efficiently without harming it. The powerful motor lasts for a lifetime and can be maintained with the removable filter. The ionic technology paired with the nano titanium grill on the blow dryer work well together to create shiny, smooth, and healthy hair. The combination is essential for fine hair that is prone to heat damage. Unlike other blow dryers on the market, the BaByliss PRO Nano Titanium Dryer has a total of 6 heat and speed settings, including a cool shot, to truly craft a style just for your hair type. It is a lightweight dryer with a generously long cord for easy handling. Fine hair, whether curly or straight, requires heat tools that are gentle but powerful. 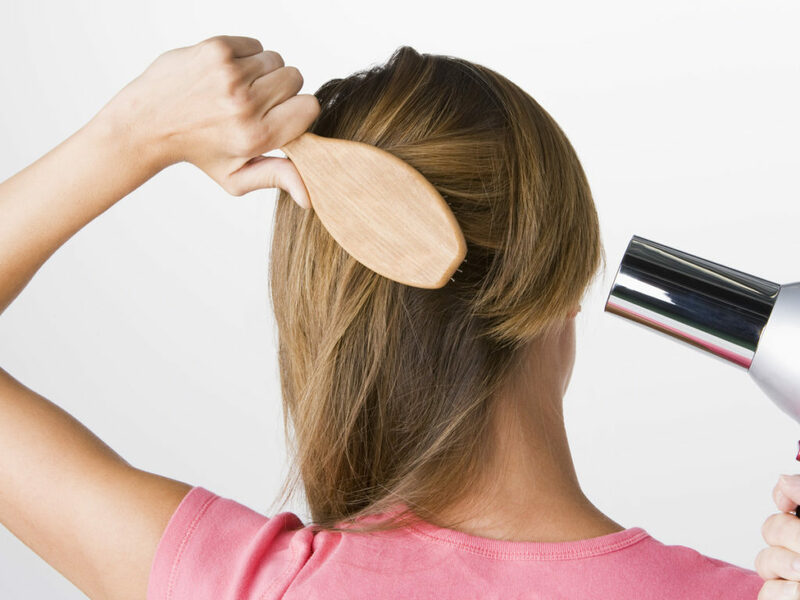 Heating tools can ruin fine hair by drying it out, making the strands brittle to the touch, and terribly frizzy. The MHU Professional Salon Grade blow dryer is a heat tool that is effective but not damaging to fine hair that is so delicate under heat. The 1875 watt AC motor allows the blow dryer to dry the hair quickly with minimal noise and vibration. The 2 speed and 3 heat setting options allow you to create the style that you want without overheating your strands. The far infrared and ion technology means that the blow dryer will not damage your delicate, fine hair. While the dryer is working to dry your hair faster, the ions and far infrared are working to create silky smooth results. For the best results and controlled airflow, the dryer comes equipped with a diffuser attachment as well as a concentrator nozzle attachment. This allows you to do easy touch ups and add volume to all your styles which is essential for fine hair. Protecting the hair from the harming damages caused by heat styling tools is essential for all hair types. This is especially true for fine hair as the strands are thinner and more prone to breakage and damage. The Remington D3190A Damage Control Ceramic Hair Dryer not only dries and styles hair, it also conditions the hair through the process to make sure the hair is strong. The grill of the dryer is infused with micro conditioners. These micro conditioners are released into the airflow as you use it to dry your hair. They then protect the hair from heat damage while also maximizing the shine and softness of the hair. The negative ions prevents frizz while the ceramic coated grill helps to dry the hair faster. The tourmaline technology regulates the heat and prevents the hair cuticle from overheating. The dryer comes with 2 attachments for maximized styling. The narrow airflow concentrator helps to create volume while the diffuser attachment helps to maximize curls. When it comes to drying your fine hair while protecting it from the damaging heat, the Remington D3190A Damage Control Ceramic Hair Dryer fits the bill. It styles the hair while also conditioning it for beautiful, strong, and shiny hair that lasts. it comes to purchasing a great blow dryer that isn’t going to fry thin, fine strands of hair, the material definitely matters. The best materials for any heat tool, especially blow dryers, are ceramic and tourmaline. These materials regulate the amount of heat that is put onto the hair to prevent excessive damage. The high quality materials help to create shiny, strong, and sleek hair without the damage that can be irreversible. Blow dryers are far from what they used to be. They used to be vessels to essentially blow hot air onto strands and dry the from the outside in. This would damage the hair strands, especially fine strands, causing them to be brittle and heat damaged over time. Now, there is ion technology. The blow dryer uses negative ions to neutralize the positive ions. The hair dries from the inside hair shaft outwards. This leaves the hair less frizzy and less puffy. Standing up and holding a blow dryer above the head can do a number on the arm. Instead of straining the muscles and making the blow drying process take even longer, use a blow dryer that is light weight. This will allow you to take your time and avoid a frizzy, half dry out come since your arm won’t feel tired. Even when the hair is fine, that doesn’t mean that it is straight or there aren’t specific areas that need to be targeted. Also, blow dryers can be used to add volume and plump up finer hair as well. The best way to target specific areas or to add volume is to purchase a blow dryer that comes with attachments. These attachments include a diffuser, comb, as well as a concentrator nozzle. This will make it easier to create the desired look on fine hair. Some blow dryers simply come with an on and off button. This is a definite way to ruin fine hair strands. It is essential to have control over how hot a heating hairstyling tool is going to be when in use. Blow drying fine hair strands that are wet requires a different setting in comparison to blow drying fine hair strands that are dry. The heat adjustment settings helps to prevent unnecessary damage that can last for years to come. Like any other beauty product or tool, purchasing the right blow dryer for fine hair can be a process that requires research and great thought. 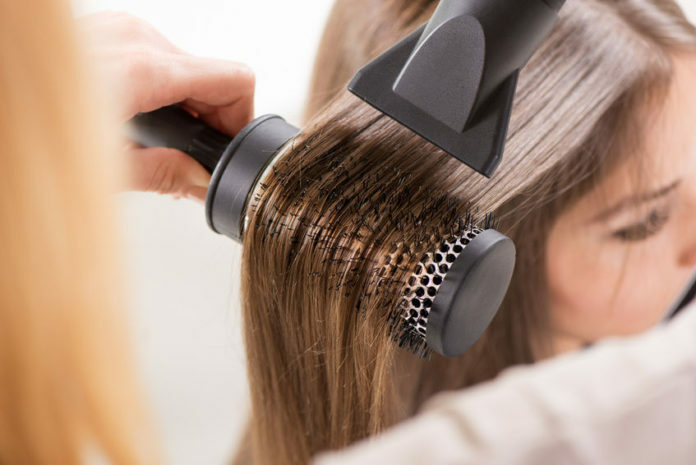 Unlike a makeup brush or shampoo, quality blow dryers that won’t totally ruin fine hair can be an investment so it’s important to choose the right one. Firstly, make sure that the blow dryer has all of the most important qualities. It should be able to pass the blow dryer checklist. The blow dryer should have heat adjustment settings, made of quality ceramic or tourmaline material, have attachments, and be lightweight. Aside from that, you should also check in with other purchasers to see what they are saying in review sections. This will give you a real world idea of how the product works as well. Step 1: Start with wet hair that has been washed, conditioned, and protected with a very light heat protecting serum. Step 2: Without the nozzle of the blow dryer attached, blast your hair dry until it is about 80% dry. Step 3: Turn the blow dryer off and use a mousse hair product that is made to give volume to fine hair. Step 4: Attach the concentration nozzle and pull out a large round brush. Put the round brush at the roots of your strands and start to rotate the brush as you are concentrating the blow dryer onto the strands. Move from the root to the ends and repeat. Step 5: Finish the style with a lightweight, hair shine serum.